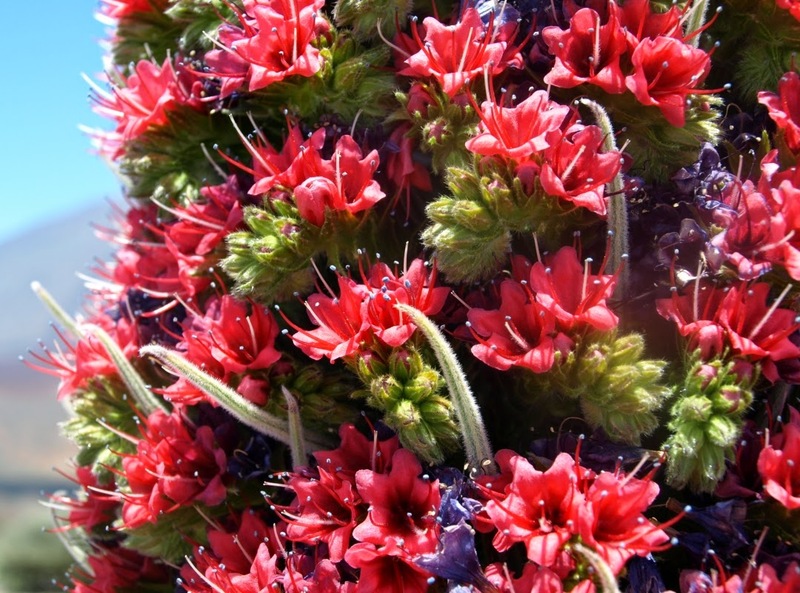 Echium wildpretii is a stunning herbaceous biennial that is native to the Spanish volcanic island of Tenerife. 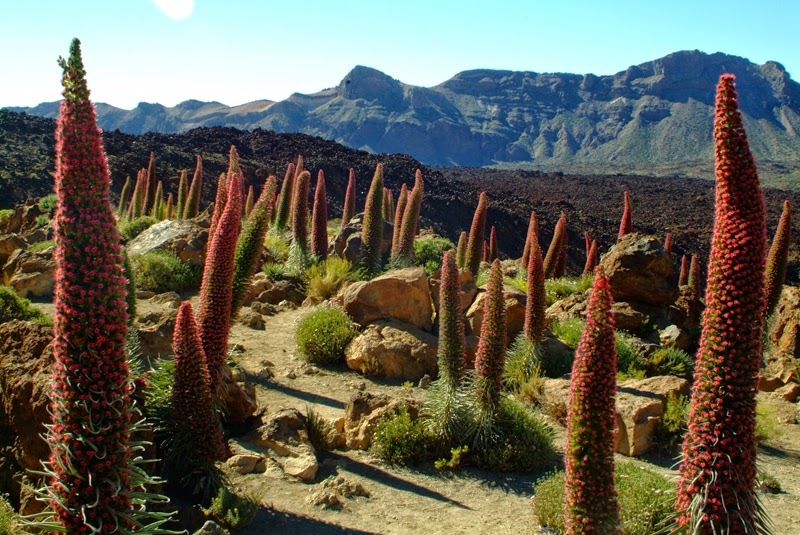 Growing in the ravines of Mount Teide (the world's third tallest volcano) wild groups of Echium wildpretii can be seen erupting from the sun-parched ground like burning daggers escaping a fiery underworld. As exotic as it looks, Echium wildpretii is surprisingly hardy and makes for a popular garden plant in both temperate and subtropical gardens. Unfortunately while it is not quite tough enough to survive the cold wet winters of northern european climates, it will for short periods tolerate frost down to as low as -5 Celsius making it a perfect addition to Mediterranean gardens. To get the best out of Echium wildpretii it will require a lot of sun and while it is typically found growing in arid conditions it will grow quite happily in most sites although it will prefer a light free draining soil. The sunnier the position the better the flowering will be. In conditions with lower light levels the flower spike will be much taller but far less dense and this can leave it prone to being knocked over in strong winds. As biennial, it will not flower in its first year instead it will produce a dense rosette of deep-green, lanceolate and hairy leaves on a thick stem about 2-3 ft tall. Then in its second year (sometimes even its third under harsh conditions), it will rapidly grow to its full height of 12-15 ft as it producing its impressively tall flower spike. The red flowers are rich in nectar and are a favourite of bees and beekeepers alike. The plant blooms from late spring to early summer in Tenerife, after which the plant will die. However new plants will grow readily from the seed produced.